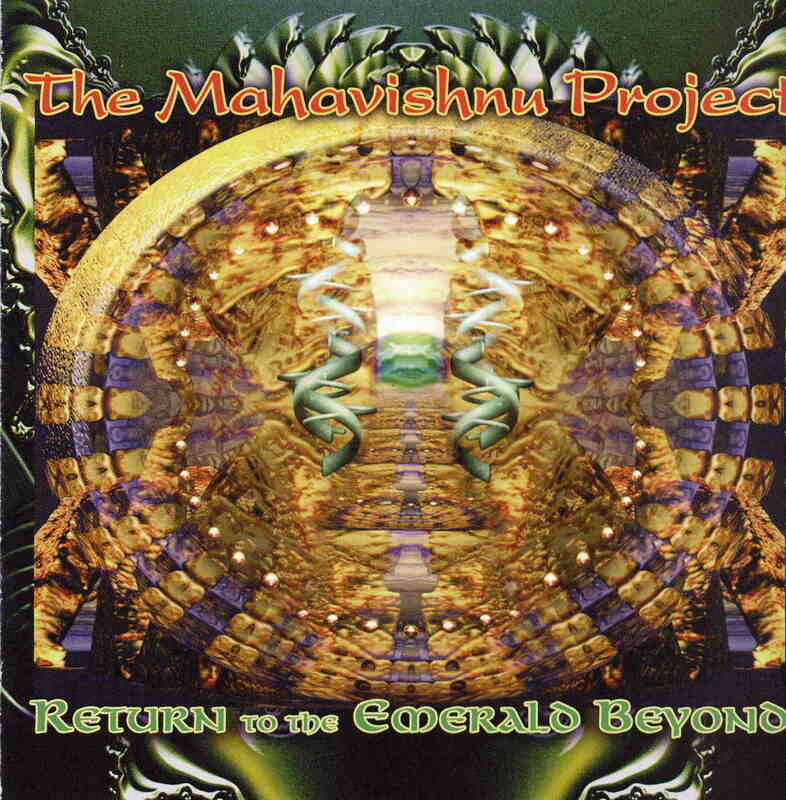 The Mahavishnu Project is a tribute band whose recurring policy is to perform “complete album evenings” in which all of the music from a Mahavishu Orchestra album is presented in sequence. This double CD includes live versions of all the tracks from the Visions from the Emerald Beyond album originally recorded by The Mahavishu Orchestra mark II and released in 1975. Before this, The Mahavishnu Project have performed complete Inner Mounting Flame, Birds of Fire, Between Nothingness & Eternity and The Lost Trident Sessions. I would have liked to hear those as well! It’s clear that a project like this means that all the musicians involved must be very gifted to make it work. And this does work! The band consists of ten musicians (drums, guitars, strings, sax, flute, bass, keyboards) and a female singer. They don’t play the tracks exactly the same but leave room for improvisation which is great considering the mood of the original pieces. Many of the tracks are now longer too, so the original vinyl album is spread over two CD’s. The second CD also has “Smile of the Beyond”, “Vital Transformation” and “Sister Andrea” (one of my favourite MO tracks!) as bonus tracks. I used to listen to Mahavishnu Orchestra a lot in the late 80’s and early 90’s, and do feel that The Mahavishnu Project do justice to the great spiritual, jazzy, oriental and progressive fusion music. They are very loyal to the original feel of the album, and even the guitar solos are pretty nice compared to the originals. This hasn’t been an easy task, I’m sure, since the original album was pretty much done in the studio with over-dubs rather than playing live. Tracks like “Eternity’s Breath” and “Earth Ship” flow effortlessly and without sounding too forced. If you’re a fan of The Mahavishnu Orhestra and would like to hear some new, loyal but not too clinical interpretations of their tracks, you should definitely check out this band.